Submitted by Alan Champ on 16 January 2007 - 1:36pm. In tandem with writing partner Frank Broughton, Bill (music and football journalist, record collector, DJ, and fan of Grimsby Town FC) is responsible for creating perhaps the finest written work on the subject of the development of the black dance music scene across both sides of the Atlantic - the ground breaking Last Night a DJ Saved My Life. 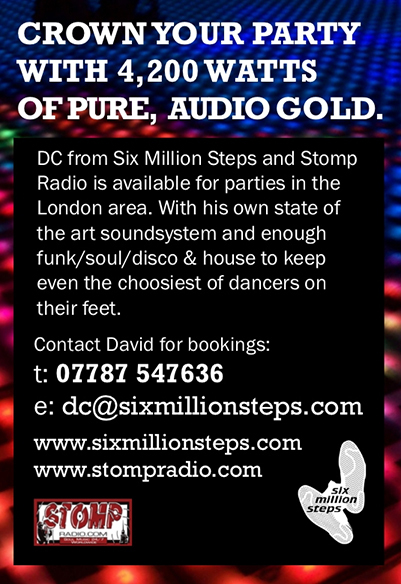 Here's his exclusive mix for Six Million Steps. Submitted by juniorblanco on 1 June 2009 - 9:12am.